Your drug addiction stories are important! In meeting and working with addiction recovery patients over the years I have found that one of the most important aspects of their recovery is having the opportunity to share their story, their life experience. Drug addiction stories don't often have a happy ending but what ever the ending sharing them is helpful. 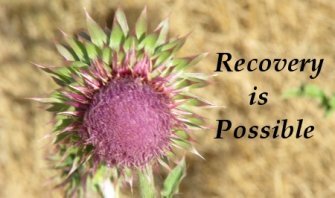 Here are a couple of addiction stories that describe the process of recovery. We’re hoping that you will share your stories with us as well so that others can learn from your experiences. Many people tell us that it helps them to read others drug addition stories because they understand what they've gone through a little better. Many times therapy sessions are simply a place where people come and share their drug addiction stories. You may find that sharing your drug addiction story anonymously is the first step toward dealing with addiction. Darcy’s father stood over her hospital bed, head bowed in silent prayer, asking God to help his 15 year-old daughter through withdrawal from her heroin addiction. He’s a good dad, loves his girl and can’t understand how such a young person, his child, could get into such deep trouble. Darcy had been using for nearly 18 months, not always regularly, but in recent weeks her appetite for heroin increased and dad discovered that his coin collection and jewelry were gone. Her allowance was generous, even by upper middle class standards, but once the addiction took over, it was insufficient to buy her the desired amount of the drug. She stole from her father, from her mother whom she lived with on alternative weekends, and from her older brothers and sisters. Some of her grandmother’s possessions were missing, but she didn’t put two and two together and never suspected her granddaughter had ripped her off. As she increased her usage, Darcy discovered that not having enough drug was far worse than having the problem of addiction. Coming off heroin was difficult. Her body had become dependent upon the replenishment of the drug, as the heroin would attach itself to Opioid receptors in her brain and spinal chord. Her body no longer produced its own natural chemicals to manage pain, so not having the heroin caused her to become “dope sick.” When the drug was not replenished, she went into withdrawal. She never experienced this before, because the withdrawal didn’t occur with occasional use, but after time, as she used more and more drug, and needed more and more drug, the abrupt removal of heroin was devastating. She didn’t start out that way. When she was in eighth grade she and her friends were given marijuana to try. Most of the kids didn’t like it, because it either tasted terrible or they didn’t like the feeling they got when the effects kicked in. But it agreed with Darcy, who also began to raid the family liquor cabinet when she couldn’t buy grass. One day, when she was just past her 14th birthday, she discovered some pain killers in her mother’s medicine cabinet. Her mom had a back surgery and was prescribed OxyContin, but only took a couple of them, leaving a nearly full prescription in the bathroom. Even 14 year-old people can research on the internet and soon she learned that by grinding the drug and snorting it, the high was intense. The chances for addiction were also intense and it didn’t take long before Darcy was seeking that euphoric experience over and over. Darcy soon realized that OxyContin was expensive, but heroin on the street was about a quarter the price, so see looked for suppliers. She didn’t have to search long in many drug addiction stories. Quitting heroin cold turkey is isn’t easy. Treatment centers will help addicts through the process often times by prescribing drugs like buprenorphine, which is FDA-approved for medical detox. Subutex or Suboxone are other drugs with smaller amounts of buprenorphine, and those are used to help the addict gradually descrease their physical dependence. Clonidine is another drug used to treat the symptoms of withdrawal and may be prescribed rather than the buprenorphine. Methadone treatment is also common, but these are specific centers that use the drug, and the dosage of methadone is gradually reduced over time to help the addict’s body adjust. Unlike the other drugs, methadone treatment may be long-term. The fact that a young girl can become addicted to opiates should not be a surprise. Take a look at the population in general. It is estimated that as many as 10% of Americans have at one time or another abused opiates. It could be as innocent an act as merely taking one too many pills, or taking your pills too often, but that is still abuse. Even when people follow their doctor’s prescription to the tee, their bodies can build up a tolerance to the drugs. Darcy’s father had read someplace that some withdrawal treatment programs offered faster results. Rapid opiate detox involves putting the patient under anesthesia and injecting opiate-blocking drugs. The idea is that this treatment will speed the system to normal function, but there are cases in which the treatment actually made the withdrawal symptoms worse, or even caused deaths when the treatment was administered outside a hospital setting. Darcy was hospitalized due to intense withdrawal and was receiving the best care. It was decided that she would not go under, mainly because opiate withdrawal causes vomiting, and that would increase the chances of death. Any rapid detox was ruled out in her case. Her father stood there, feeling completely helpless. A nurse suggested he contact Narcotics Anonymous, or SMART Recovery, in an effort to learn how he can best help his daughter. 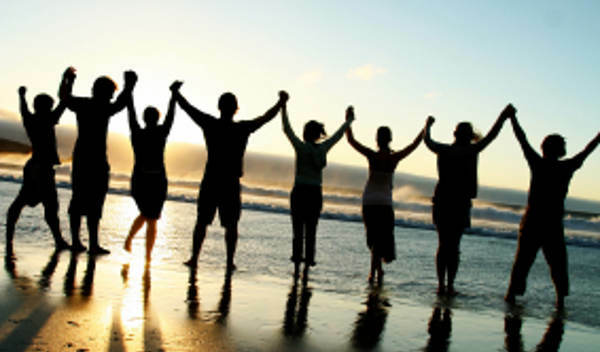 Moving forward, once she was released, and out of treatment, a support group would be a lifeline to help her rebuild her life and return to a healthy lifestyle. A way to have a better ending to one of the many drug addiction stories. Some material from NA helped him understand that opiate withdrawal is painful, but not necessarily fatal. While Darcy was receiving exceptional care, the biggest problem that she would face in the future, as her father learned, was relapse. Once the drug was out of her system, a return to the old dosage could be fatal. Over time her body built up a tolerance, so more and more drug was needed, but after detox and treatment, her body was getting back to normal. This has a happy ending... Darcy was lucky! Treatment is more effective when the heroin addiction is identified early and having a father who was willing to be taught how to help his daughter was a plus. Darcy recovered from her addiction and is now getting back to her life as it should have been. She is living proof that addiction recovery is possible! Have an addiction story you'd like to share? Do you have an interesting story about dealing with addiction? Share it here. Hi, guys my name is Mark and I like you to know that drugs is very dangerous for us. So please stop using drugs. I'm always me and myself yet it's me! I smoke weed every day! Escaping heroin, the one way ticket. Can't Let Go... Can't Get Help! Fun why quit? Maybe if you stopped preaching so much and had some fun, there would be more success? Loaded and Proud of It! Please visit our home page for more information about Drug Addiction Stories.